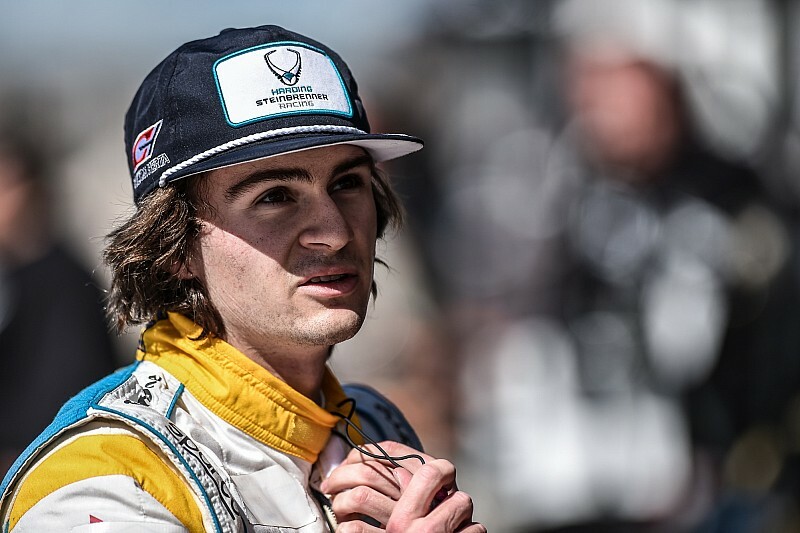 Colton Herta’s speed and ultimate potential explains why Andretti Autosport has entered into a technical partnership with Harding Steinbrenner Racing in 2019, according to Andretti COO Rob Edwards. Herta, who turns 19 this month, caused a minor sensation in IndyCar Spring Training by topping three of the four sessions, despite it being Harding Steinbrenner’s first test with Honda power. Harding Racing-Chevrolet started as recently as 2017, running 2014 Indy Lights champion Gabby Chaves for three races, before joining fulltime last season. Following 13 races with Chaves and three with Conor Daly, for the season finale Harding expanded to two cars driven by Pato O’Ward and Colton Herta, who had just finished 1-2 respectively in the Indy Lights championship for Andretti Autosport. 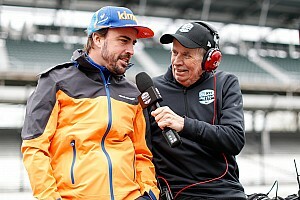 Michael Andretti shared setups and staff with HSR for that Sonoma race, and O’Ward qualified fifth and finished ninth, while Herta – who had temporarily had his confidence knocked by an ‘off’ in pre-race weekend testing, started 19th and finished 20th. 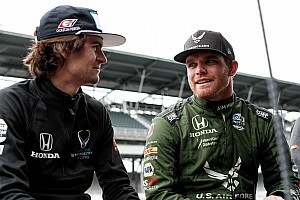 George Steinbrenner IV, a friend of Herta’s who had invested in his two-year Indy Lights career, elected to partner with team owner Mike Harding in order to ensure Herta’s graduation, and last December, the team confirmed its switch to Honda power for 2019 as HSR further evolved into a satellite Andretti operation. However, O’Ward, although initially signed by HSR to a full-year deal, terminated his contract when he discovered that the team could only afford to lease an engine for him for three races – his Indy Lights title-winning prize of Indy 500 entry plus two other events. 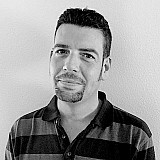 Despite missing the first large group test of the year at WeatherTech Raceway Laguna Seca, three days later Harding Steinbrenner and Herta – now working with Marco Andretti’s former AA race engineer Nathan O’Rourke and another highly respected AA engineer, Andy Listes – topped the times at COTA for three sessions and finished a close second in the fourth. 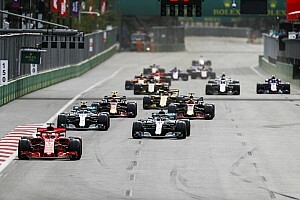 “In terms of justifying the technical relationship and the additional inputs that can bring to the group, it was certainly an interesting start!” Andretti Autosport COO Edwards told Motorsport.com. At the time, many observers and participants treated Herta’s times with skepticism, despite Ryan Hunter-Reay’s race engineer Ray Gosselin’s assurances that the HSR car was legal. However, Edwards explained that while Herta’s pace on the first day at COTA may have been boosted favorably by a less than legal car, the Day 2 times were genuine. Asked if the #88 HSR-Honda ran underweight in Texas, Edwards replied: “Not massively. I think maybe the first day they were struggling to know where they needed to be – I don’t know because I haven’t seen the numbers. "But on the second day Colton was just as quick, and I know hand-on-heart they were exactly where they needed to be weight-wise. Although O’Ward appeared to have a clear edge over teammate Herta in the Indy Lights title race last year, beating him 9-4 in wins, 9-3 in pole positions, Edwards says that a mid-season injury to Herta had skewed the stats against him. “First of all, we were very fortunate to have Colton and Pato in the team last year,” he said, “but I think if Colton hadn’t broken his wrist at Toronto, the second half of the season would have looked quite different. "So as much as Pato really dominated the second half of the year, you have to look at the reason why that was, and it’s easy to forget that Colton had won four races in a row before Toronto. “So I think there’s no doubt that Colton has the speed and performance. How he performs in terms of potentially winning IndyCar races this year is as much about how Harding Steinbrenner Racing functions as a team as is about his outright speed and setup.